Google is allowing you to add your own photo as a background to its search engine, in a move that many will compare with the more pictorial Bing search engine from Microsoft. One of Bing's most popular features has been an ever changing background picture set by Microsoft and dotted with facts, compared to Google's traditionally austere white, simple layout. However, for those with Google accounts, the background can now be set as whatever picture you want. 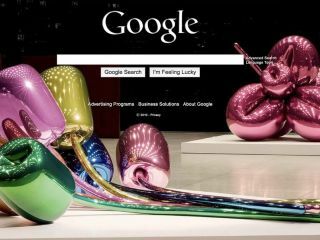 "Today, we're introducing a new feature that brings a whole new level of personalisation to Google by letting you add a favorite photo or image to the background of the Google homepage," blogged Google's VP of Search Products & User Experience Marissa Mayer. "You can choose a photo from your computer, your own Picasa Web Album or a public gallery hosted by Picasa which includes a selection of beautiful photos." "Whether you choose a photo of a loved one, a picture of your favorite vacation destination or even a design you created yourself, Google.com is now yours to customise. "For those of you who want to enjoy the clean, simple look of Google as well as your personalised view, we've made it easy to switch between your customised search page and classic Google." The feature is, thus far, only being rolled out in the US, but should arrive in the UK in the 'coming days' according to Mayer. "For those of you outside of the US, you can expect to see this new feature in the coming days as we roll it out internationally to offer similar, consistent experiences globally." We're setting ours to a screenshot of the TechRadar home page, just to confuse ourselves.